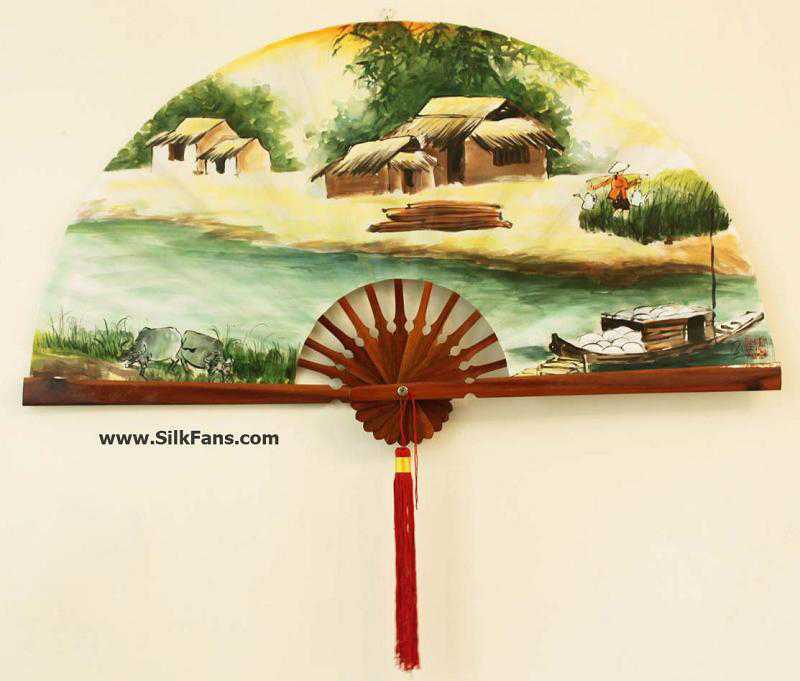 Asian Wall Fans-Hand painted by Artist-Asian Wall Fans 20"x39"
These wall fans are oil paintings with beautiful Vietnamese scenes. They are made by Artist Tran Trung Bao in Saigon, Vietnam. There is a hook on the back making wall mounting super easy.